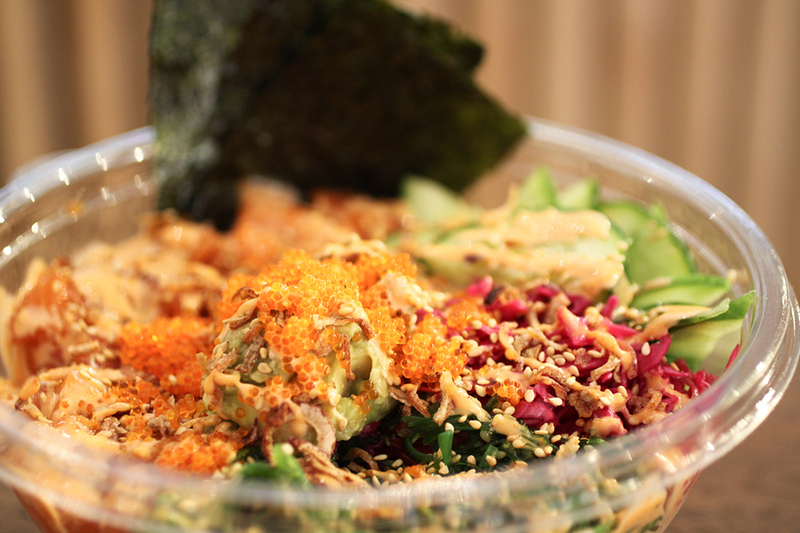 You can choose from our popular favourites or customize the bowl how you want it and to your taste. From the base, premium protein to the freshest toppings and condiments. Our selection is ever growing as well! Finish it off with our signature sauces that’ll really pack a punch on your taste buds (Sriracha Mayo is our #1 sauce). 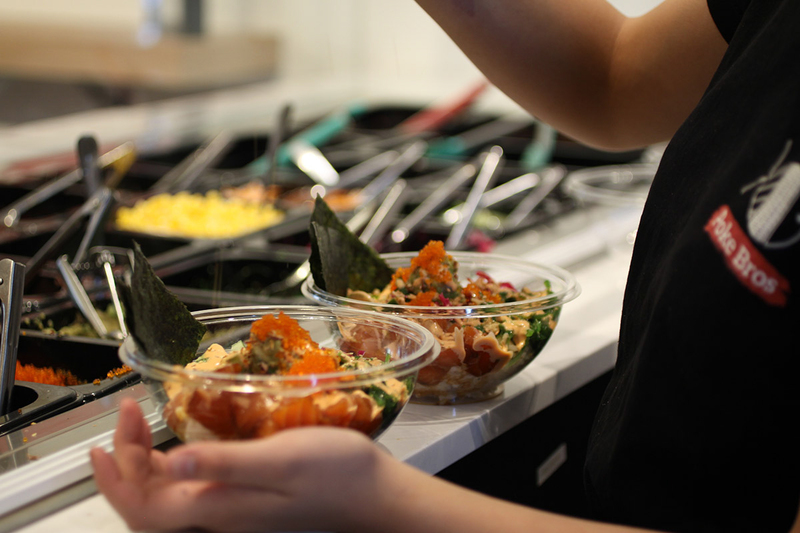 You can eat in at our cozy poke restaurant or get take-away. 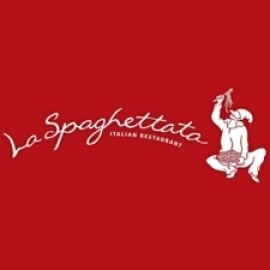 We also offer catering services.